Former Justice of the Washington State Supreme Court, Charles Z. Smith passed away on August 29,2016. 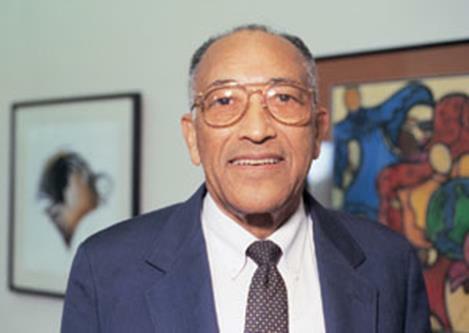 During his long and distinguished career Justice Smith worked as a Superior Court judge, a prosecuting attorney, and professor and associate dean of the University of Washington School of Law. Learn more about Justice Smith at the Gallagher Law Library's memorial page. Promoting Officer Integrity Through Early Engagements and Procedural Justice in the Seattle Police Department (May 2016, 149 pages). Marking Miranda v. Arizona's anniversary, ABAJournal.com has a slideshow, 50 Years of Miranda in Popular Culture, compiled by Brenan Sharp. 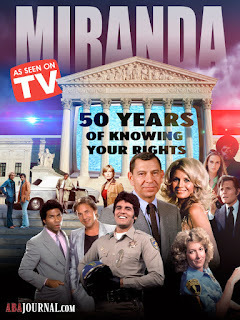 For an overview, see the pages on Miranda in the U.S. Courts' materials for schools. Gary L. Stuart, Miranda: The Story of America's Right to Remain Silent (2004) (also available as e-book). As you might imagine, Miranda has been cited a lot. A whole heck of a lot. KeyCite shows 116,042 citing references, including 59,453 cases and 9,452 secondary sources. Within the secondary sources, there are 6,998 law reviews. How could you choose which law review articles to start with? Here's a neat trick in HeinOnline. I searched for articles with confess* in the title (the asterisk makes the search include variants, like "confessing" and "confessions"). Result: 1,207 items. I sorted them to show the articles that have been cited the most at the top of the list. The most cited was Developments in the Law: Confessions, 79 Harv. L. Rev. 935 (1966), a big survey (nearly 200 pages!) published in March 1966, three months before the Supreme Court decided Miranda. Next are a couple of works looking at false confessions: Steven A. Drizin & Richard A. Leo, The Problem of False Confessions in the Post-DNA World, 82 N.C. L. Rev. 891 (2004); Richard A. Leo & Richard J. Ofshe, Consequences of False Confessions: Deprivations of Liberty and Miscarriages of Justice in the Age of Psychological Interrogation, 88 J. Crim. L. & Criminology 429 (1998). If you want to know the latest developments, you can sort to see the most recent article first: John C. Sheldon, Common Sense and the Law of Voluntary Confessions: An Essay, 68 Me. L. Rev. 119 (2016). Searching for "confess*" in the title was very simple. You can put together more complex searches, too. E.g., if you search for "McMurtrie" as an author and "false" within five words of "confession*" in the text, you'll find Jacqueline McMurtrie, The Role of the Social Sciences in Preventing Wrongful Convictions, 42 Am. Crim. L. Rev. 1271 (2005). The National Archives and Records Administration has teamed up with Google to present 13 online exhibits on U.S. Presidential elections in Google Arts & Culture. 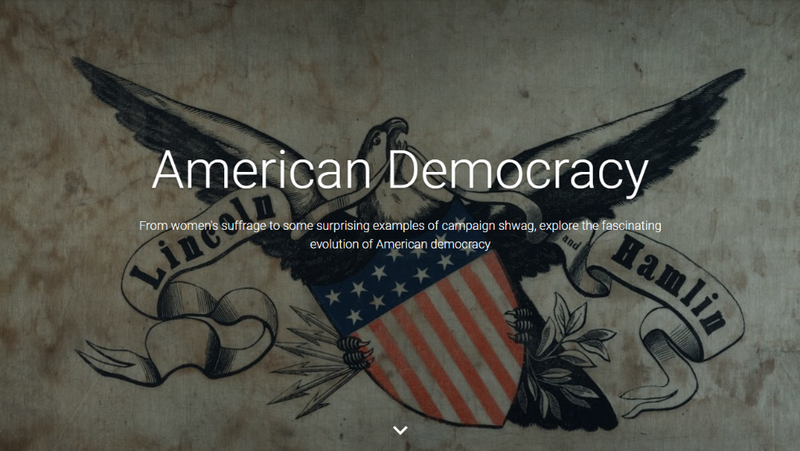 These specially curated exhibits feature historic photos, documents, videos, and stories related to the history and evolution of elections, how we amend the Constitution, political cartoons and campaign memorabilia. Those of you who just can't get enough of the Democratic and Republican political conventions might enjoy Stories from American Political Conventions. It features photos and interviews with reporters who covered the conventions. Hat tip to the ResearchBuzz blog.